I met the word 唰 shua1 in a Xi Yang Yang book as the sound 唰唰 one character makes while eating. Two sources agree it is "onomat. quick slick up." I don't know the English "quick slick up." Google translate makes a plausible but unclear suggestion of shabu shabu for 唰唰. Here is the context. Lazy lamb is enjoying a snack. 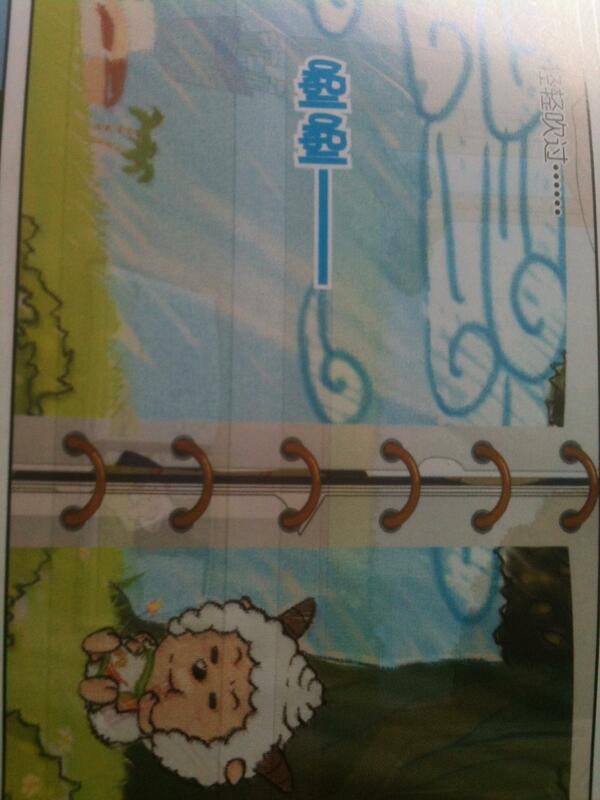 The panel caption tells us this is outside of the sheep village school, with a light breeze blowing (羊村“教室外,风儿轻轻吹过). baike.com describes it as "swiftly" or "swish"... I believe it is indeed onomatopoeia. Describes "swiftly" or "quickly" doing something. Like to "swiftly" jump on the wall. Or describes a sound, to "swish" by something. 廣韻．入聲．薛韻 謂之曰 「𠴪 鳥理毛也 所劣切」 From a dictionary, '𠴪 is the act of a bird combing through her feather, consonant following 所, vowel following 劣'. 集韻．入聲．薛韻 謂之曰 「唰 鳥治毛也」 Another dictionary puts it this way: '唰 is the act of a bird combing through her feather'. 字彙．口部 謂之曰 「唰 所劣切 音刷 鳥理毛也 𠴪 同上」 Yet another dictionary shows that '唰 consonant following 所, vowel following 劣, sounded as 刷, is the act of a bird combing through her feather. 𠴪 ditto'. 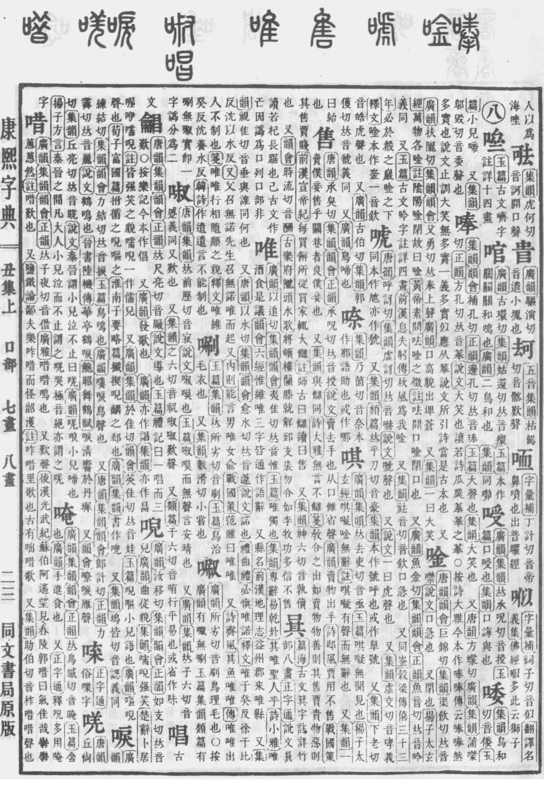 正字通．口部 謂之曰 「𠴪 同唰」 And another dictionary tells that '𠴪 is same as 唰'. Please leave comment when you have questions.